Daria here, and I was in the holidays mood while creating a card for today's project. To say the truth, I was having this idea in mind for a while already, and I am really happy that finally made it. 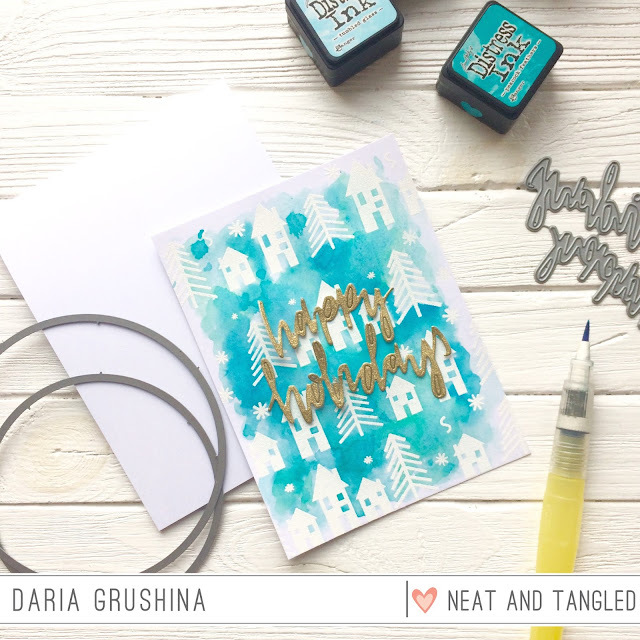 I started by heat embossing houses and trees from Winter Wishes stamps set on a white panel. I think I used almost all of the images from the set. Then, I applied distress ink in different manner - ink smushing, with wet brush, and finally, when it was dry with blending tool. Here are the colors I used: Cracked Pistachio, Peacock Feathers, Mermaid Lagoon and Tambled Glass. That added some variation and depth in color. For my sentiment, I used Happy Holidays die and die-cut it from glitter cardstock. I think a little bit of glitter and shine always make it more festive :) I glued everything with a foam tape to add it some dimension. That's finishes up my card for today. 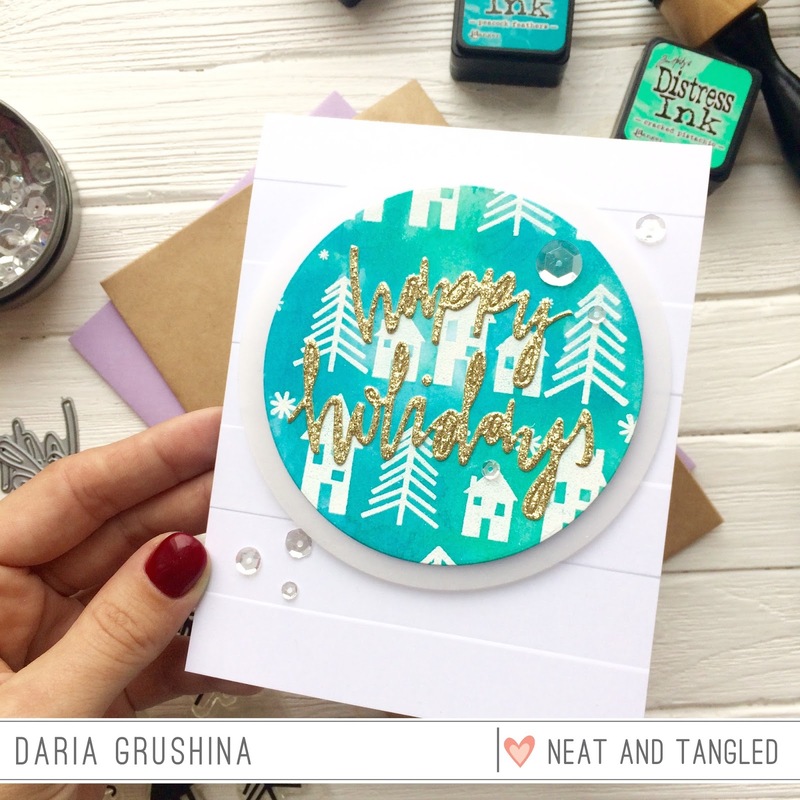 hope you liked it and got a litlle bit into a holiday crafting mood. So pretty. Going to give this one a go, I think. Love your colors. Very pretty, love the blues with the gold glitter. I love this one and it did put me in a holiday mood! I think it was the gold sparkles that put me over the edge. Sparkles always do it for me. If I could, I would be sparkly all over! LOL There is one Christmas card I make that is all Stickles. It is so sparkly it is one of the more expensive Hallmark cards. I love to make it but I don't like that it takes so long to dry. I love your card!